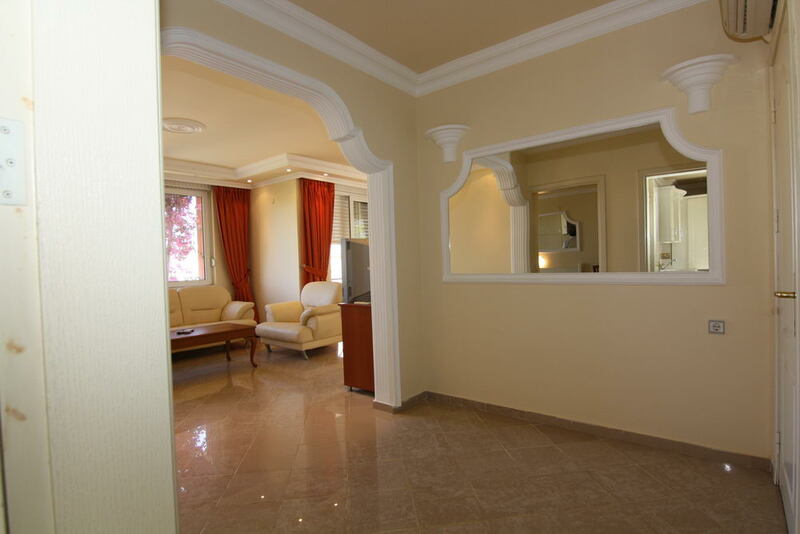 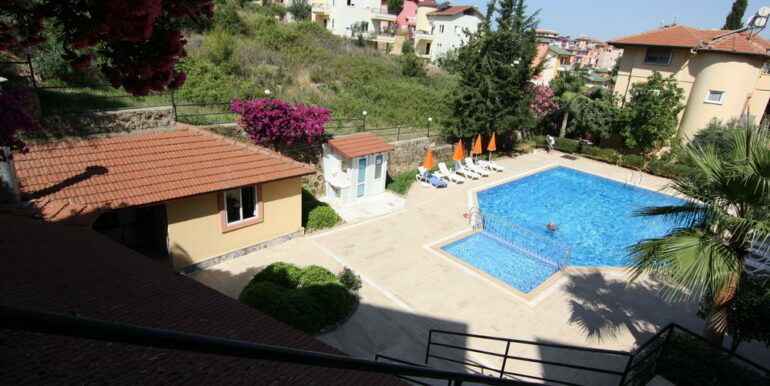 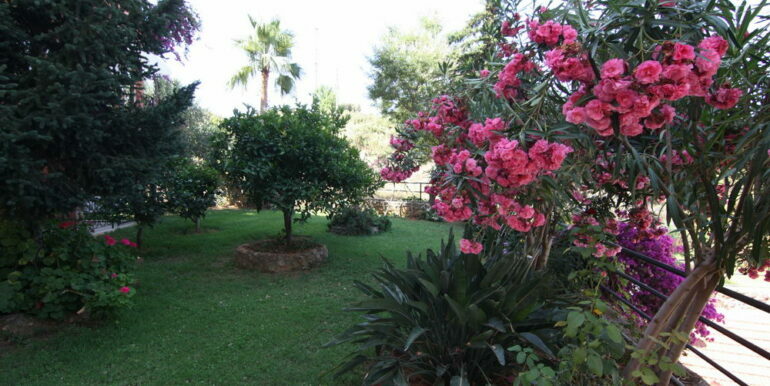 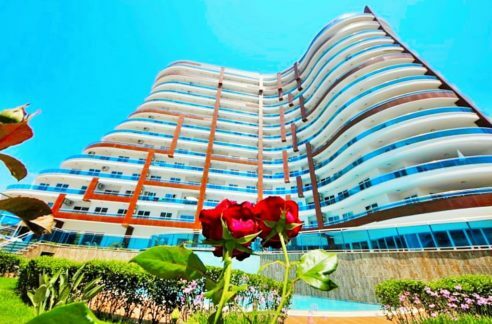 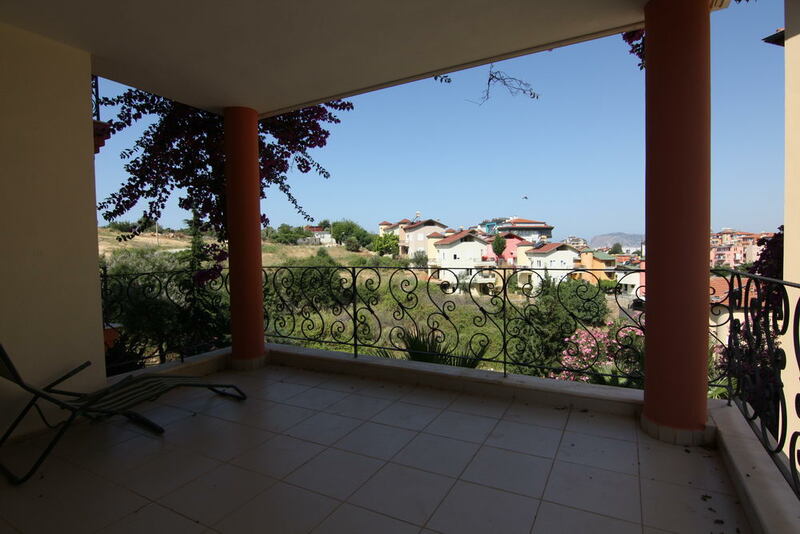 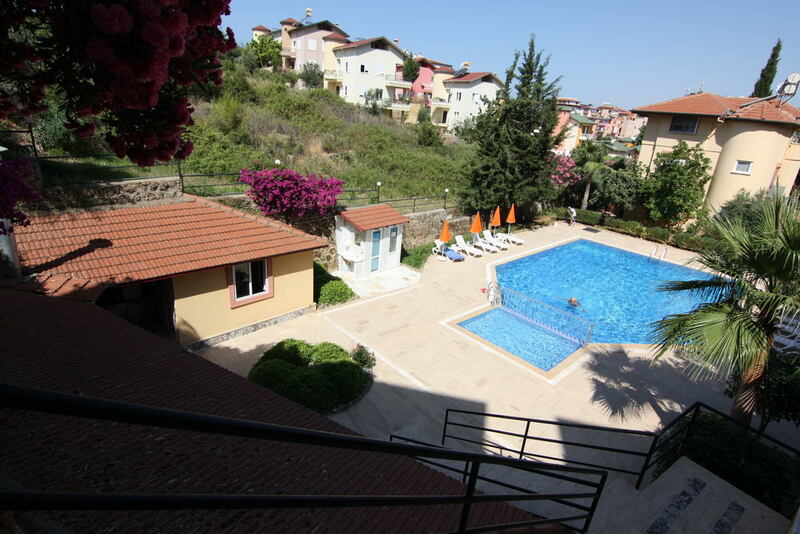 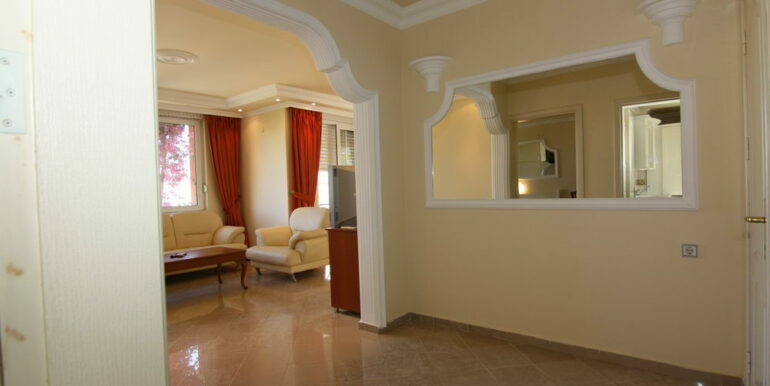 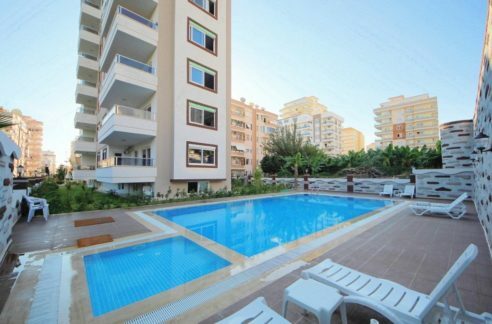 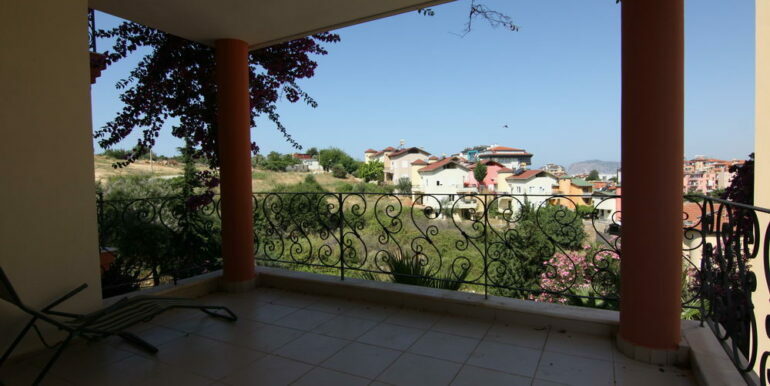 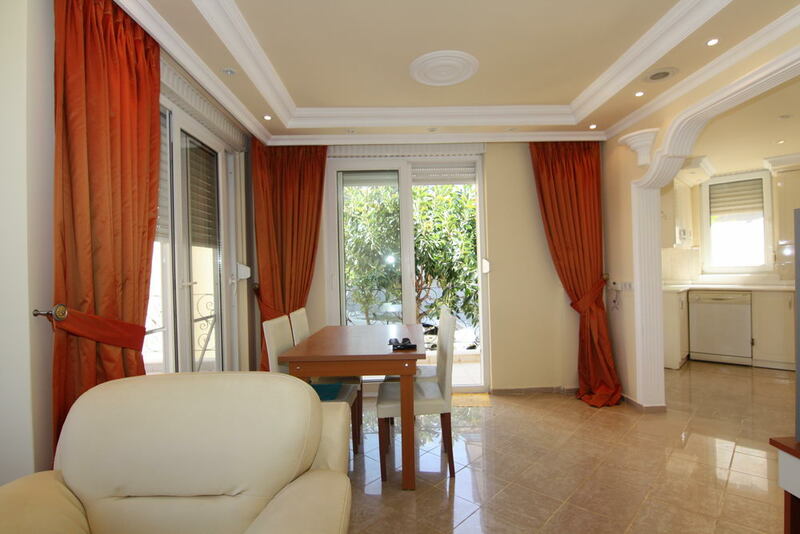 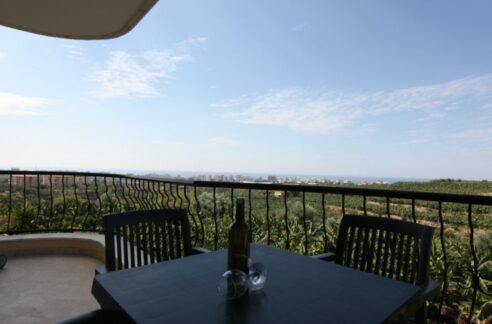 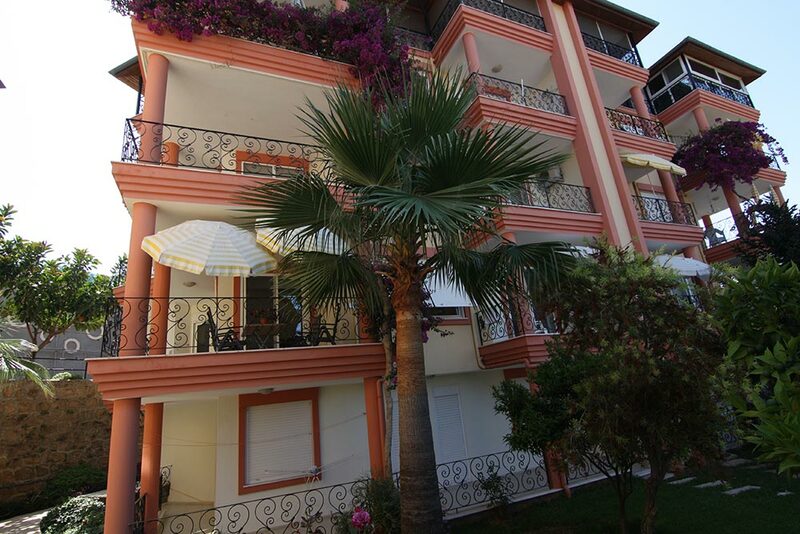 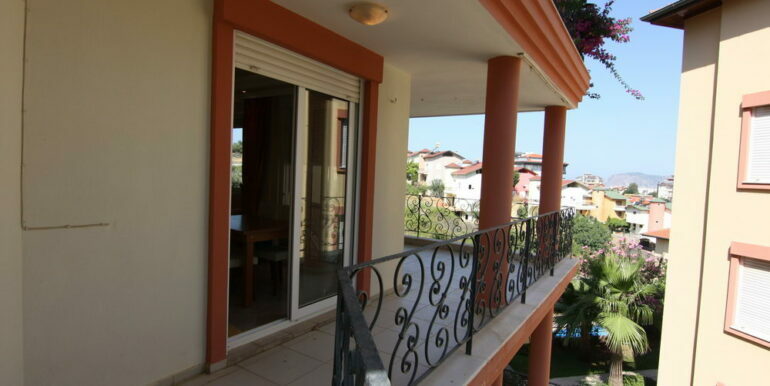 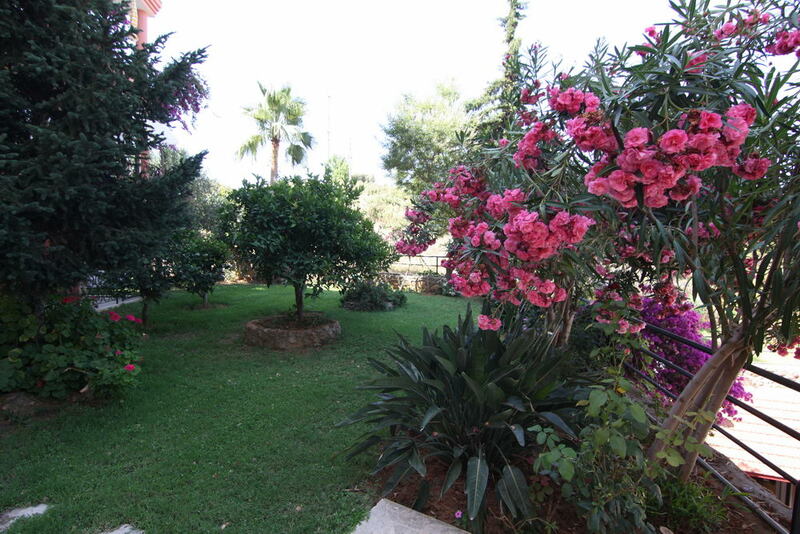 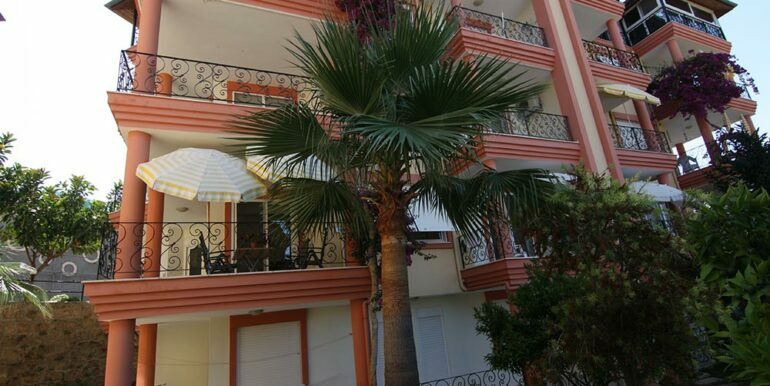 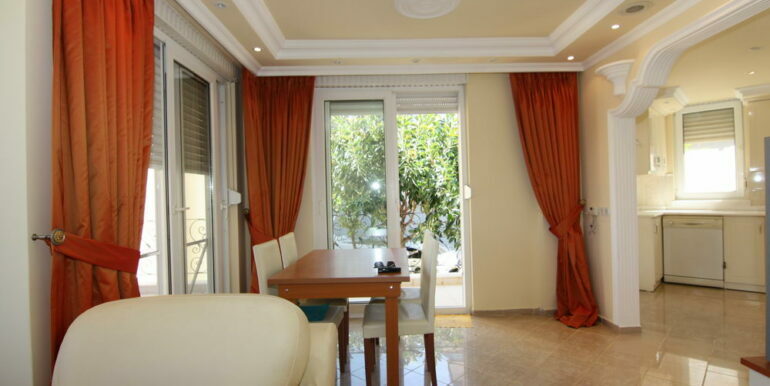 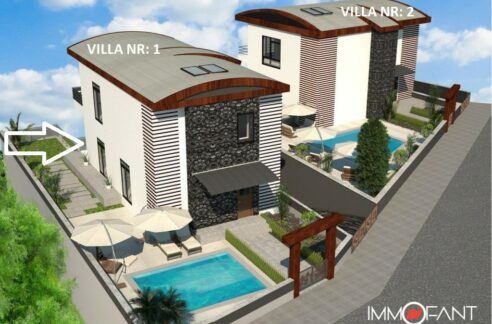 The apartment is located in a quiet green area in Kestel 600 meters to the beach. 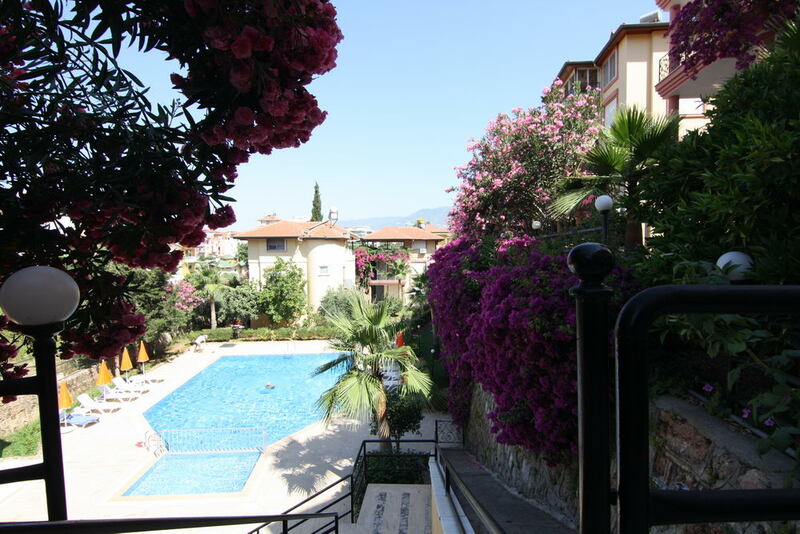 There is a large pool and large garden in the complex. 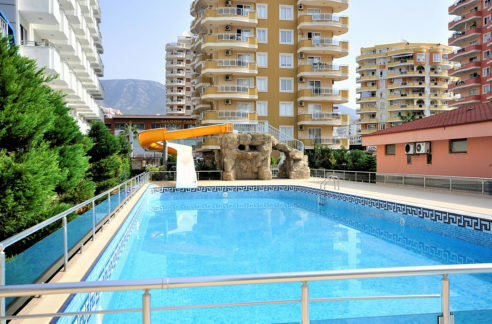 The local centrum is 300 meter where busses are available to drive to the Alanya centrum. 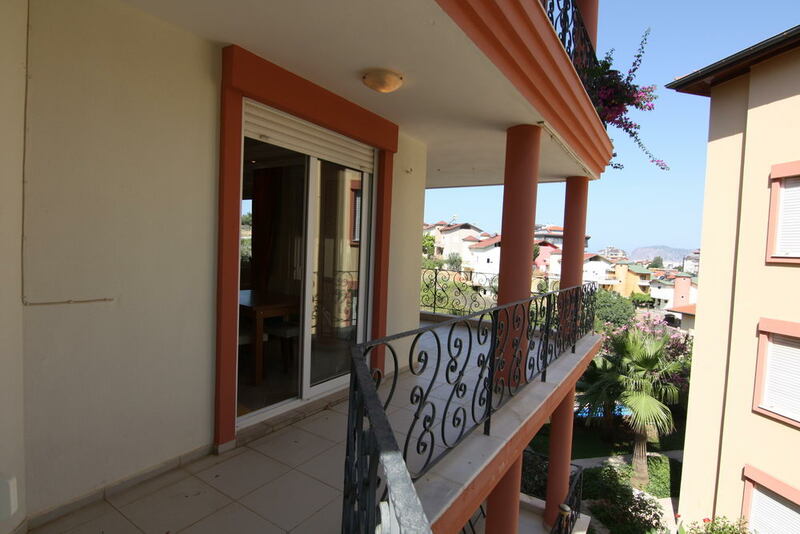 The apartment is 104 m2 with a living room with adjoining terrace, separate kitchen, fitted wardrobes and all electrical equipment, 1 spacious bedroom with large cabinet, Bathroom with toilet and shower.